Found this fantastic recipe by Trisha Yearwood that I thought I would try out! 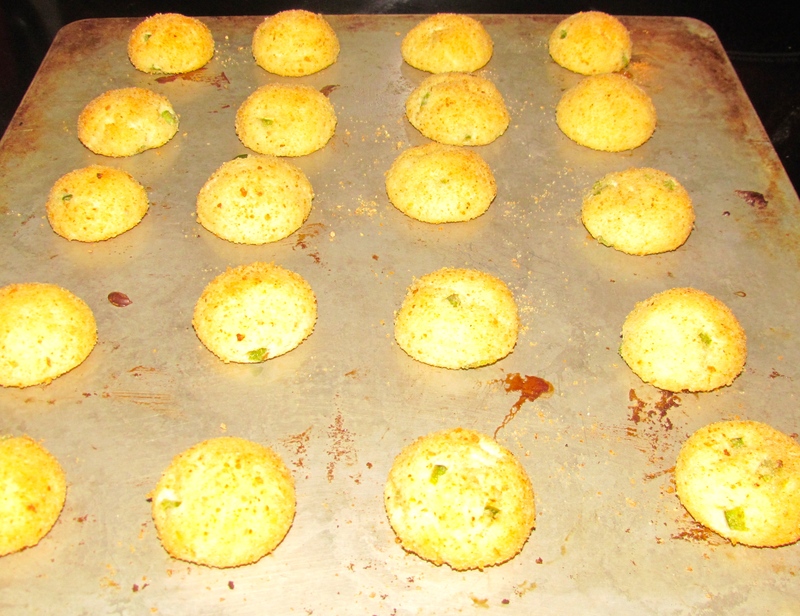 She calls them Jalapeño Cookies and I don’t intend to change the name but they truly remind me of a cross between Jalapeño Poppers and Cheese Cookies and when you read the ingredients you will know why. 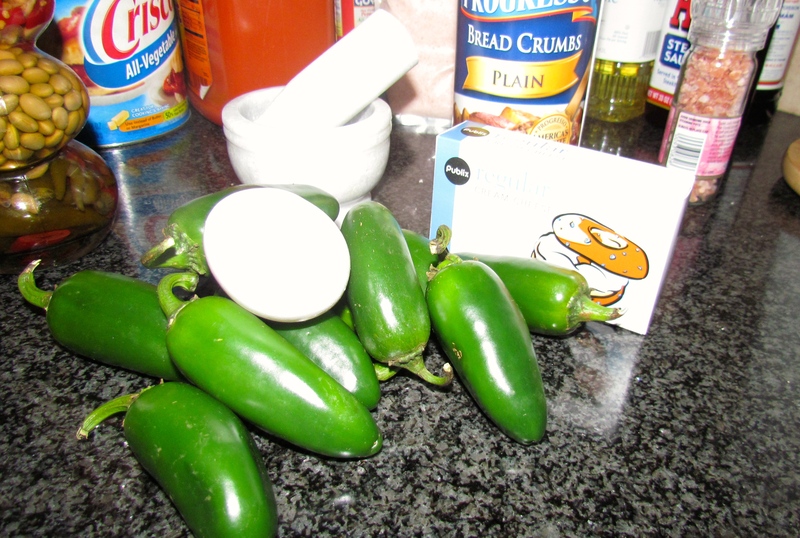 First of all let me point out that when handling Jalapeños or any type of hot peppers you either need to wear gloves or if you are like me (don’t wear gloves), remember to not touch your face, eyes or mouth! I swear I followed my instructions and did not touch any of the above, but what I did do was move my wine glass at some stage and touched the rim…….you can imagine the rest of the story! Feel like a got Botox on my lips! Ok stories aside, here is Trisha’s wonderful recipe and they turned out to be a little bite of spicy heaven! 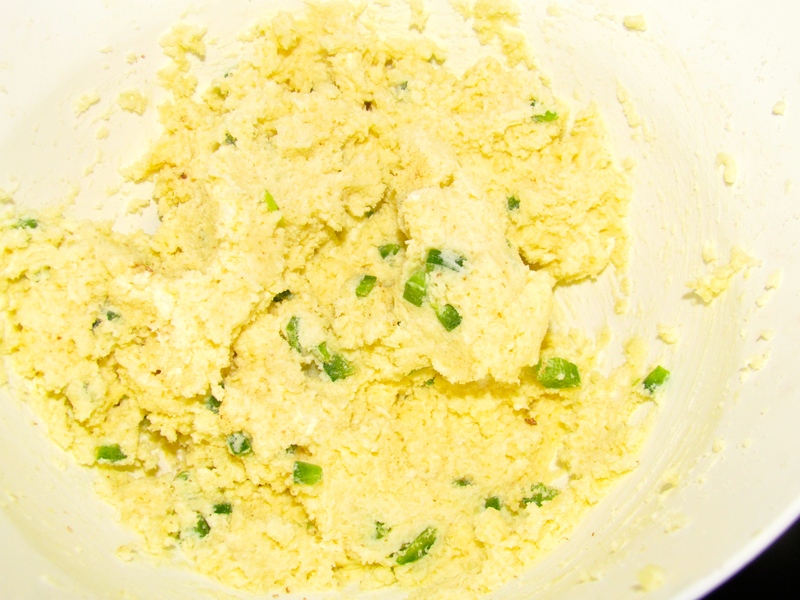 Mix the cream cheese, Parmesan, jalapeños and egg to form a paste (I used my hand blender to make it easier). 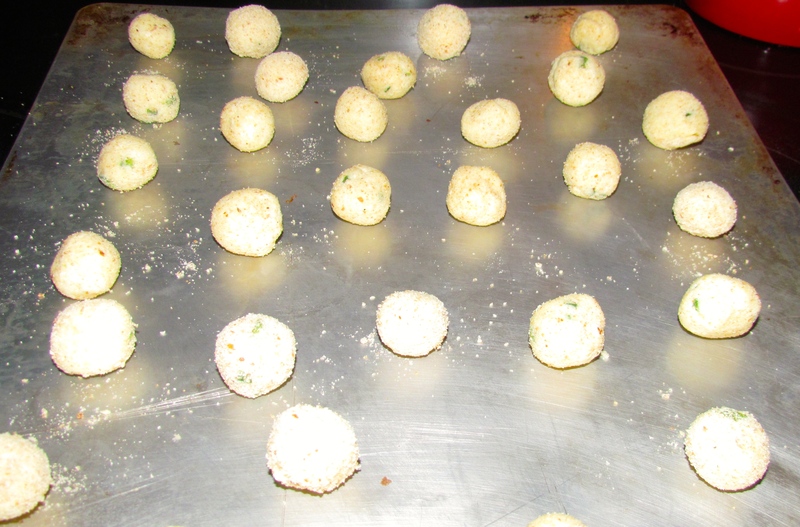 Shape into balls using about 1/2 tablespoon of paste for each. Roll the balls in the breadcrumbs. Place on an un-greased baking sheet and bake for 10 to 15 minutes (15 mins is perfect), until golden brown. Serve warm. Next It’s Fall, so Pumpkin’s calling!